One of the twentieth century's most original philosophers, political thinkers, and mystics, Simone Weil has influenced writers and thinkers ranging from Albert Camus and Simone de Beauvoir to Pope John XXIII, Flannery O'Connor, and Susan Sontag. Born into a freethinking French Jewish family, Weil was active i Socialist and Communist intellectual circles, worked in factories, and went to fight in the Spanish Civil War until a serious burn sent her to a hospital. In 1940 she became strongly attracted to Roman Catholicism through the Passion of Christ. Her writing continue to inform debates about God and morality and to challenge current views of sacrifice, asceticism, and manual labor. Her brother, André Weil, was one of the twentieth century's greatest mathematicians, a founder of the group that revolutionized the field, writing under the name Bourbaki. Using previously unpublished family correspondence and conversations, Sylvie Weil—Simone's niece and André's daughter—offers a more authentic personal portrait of her aunt than previous biographers have provided. 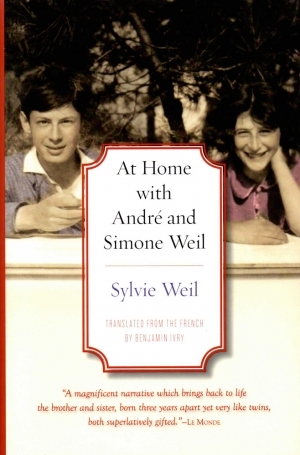 At home with André and Simone Weil illuminates Simon's relationship with her family, especially with her brother. Simone Weil's many Christian admirers have influenced her legacy, but Sylvie Weil recovers the deeply Jewish nature of her aunt's thought, while wrestling with coming of age in the shadow of two intellectual giants. Sylvie Weil's memoir is simply one of the best books I've read in the past decade. At turns poignant, poetic, and deeply perso nal, Chez les Weil is a movingly honest exploration of her own identity and the exceptional influences that helped shape it, particularly her father, André, and his sister, Simone, her grandparents and ancestors, and the Holocaust. The missing link in the story of André and Simone Weil is Sylvie Weil, daughter of the great mathematician, niece of the legendary philosopher. In her memoirs, which are much more than that, the “saints” are humanized, while the “merely” personal is transformed into something rich and strange. One enters Sylvie's world to find André and Simone, and discovers there a hidden treasure: Sylvie herself. No student of André or Simone Weil can afford not to enter this captivating universe. How did the minds of these two geniuses work? Sylvie Weil provides insight by weaving family tales using grace, style, and humor. She often alludes to being a pale comparison to André and Simone, but she has accomplished something that neither genius ever did: she brought two people back to life. With this book, Sylvie Wei1 has opened a window and allowed the fresh air of her unique perspective and her considerable talent to dust off and provide new insight into these two giants, and into the peculiar challenges of being the offspring of intellectual lions. With humor and style, Weil deftly leads us through the social intricacies of Jewish history, family history, mathematics, philosophy, war, and a peculiar sort of redemption. Leaning on Sylvie Weil's capable arm, we are escorted through the back roads of a complex family landscape. 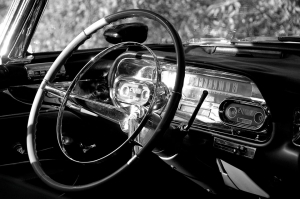 This is a first-class tour. This is not a family history in the usual sense of the word. Sylvie Weil does not retell the short life of her aunt, the philosopher Simone Weil… Nor does she retell with precision the carreer of her father, the great mathematician André Weil (1906-1998) co-founder of the famous group named after an imaginary scientist Bourbaki. A magnificent narrative which brings back to life the brother and sister, born three years apart yet very like twins, both superlatively gifted. Sylvie Weil, daughter of the great mathematician André Weil, and niece of the philosopher Simone Weil, revisits a heavily loaded family history, with humor, tenderness and gravity. As she lay dying in London, Simone wrote her parents, refugees in New York, her last letters in which she never mentioned her illness. However, foreseeing her approaching end, anxious to give them some comfort, she writes about her beloved niece “Sylvie with the sunny smile.”… “You have another source of comfort,” she tells her parents. “I was the “source of comfort,” writes Sylvie Weil…. Beyond the new light this books sheds on two major French intellectual figures, Chez les Weil is a beautiful, intimate, sometimes cheeky narrative, devoted to family memory. …a serious yet exhilating narration which enchants us. February 3 will mark the centenial of the birth of the philosopher Simone Weil (1909-1943). In an unexpected and delightful prelude to this anniversary, this narrative by Sylvie Weil (niece of the philosopher) dives deep into the Weil universe, with impertinence, wit and emotion. To be the daughter of a genius is one thing. To be a saint’s niece is a whole other story. The portrait which Sylvie Weil paints of her aunt who was passionately humble, always guided by the temptation of the sublime, and whose idolized figure cast a long shadow on her niece’s entire life, is tainted with a healthy impudence. Sylvie Weil’s analysis of the twin-like bond of affection and admiration which linked Simone and André, is extremely moving.